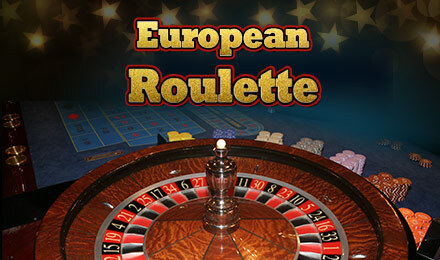 Play European Roulette, one of the most popular casino games online! Bet your number, spin the casino slot & you could win! European Roulette has a fun 3D interactive gaming interface which makes it a little different from the other roulette games out there. The screen looks very much like a traditional roulette set up, with the single zero slot as is expected in the European variation of the game. The Roulette Wheel takes centre stage and is fully 3D and interactive, rotating as you set up your bets. It gives the game a really genuine feel and players can enjoy the thrill of the casino from the comfort of their own homes. The game plays as you would expect any Roulette game to, as you place your bets on specific numbers, colours or sets of numbers. It also features a pay table so you can see exactly how much each bet is worth. If you enjoy Roulette and want to play a thrilling version with engaging 3D graphics then this option might be right for you.